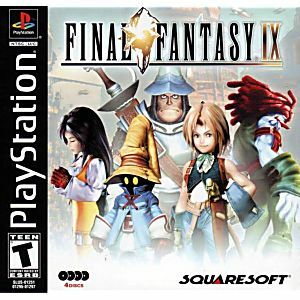 The ninth installment in the long-running RPG series and the final for the original PlayStation, Final Fantasy IX gives fans of the franchise the nostalgic thrill of re-experiencing the visual style, gameplay elements and overall spirit of the 16-bit Final Fantasy games. The main story centers on Zidane Tribal, a young thief who quickly becomes engaged in a quest to save the world, along with Vivi Ornitier, a young black mage, and Princess Garnet, heir to the throne of Alexandria. This latest installment features highly detailed characters, vehicles, and environments, and breathtaking cinema-graphics. 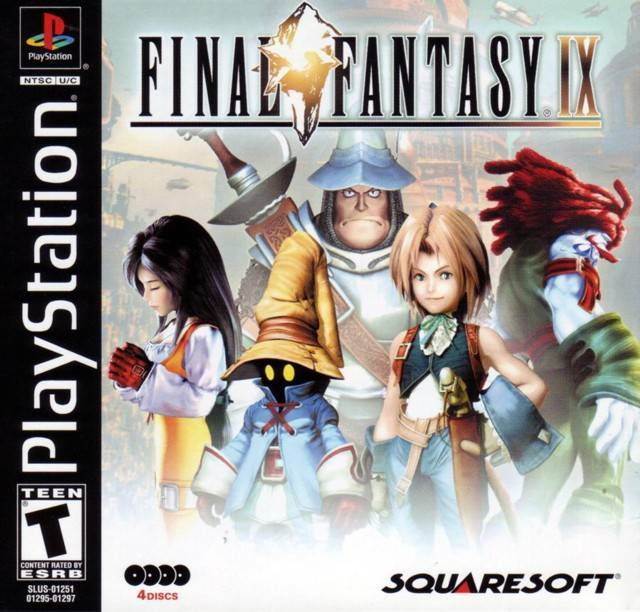 The addition of brand new features such as the story-enhancing Active Time Event system and the return of minigames that grant additional gameplay make Final Fantasy IX not only a memorable gaming experience, but also a significant step forward in the series. A beautiful game. Couldn’t be happier with the sale. Thanks LukieGames!!! I enjoyed the game I Lost mine ages ago I Am happy I found another copy to play Again I forgot how Challenging and fun it was to play thanks Alot sorry about the Box it came in being Damaged but it was Hard to get it out of My mailbox mine is Small and it did not Fit well inside so it Made it tricky to get Out so that is why I Say no more box's I Tested the game's to See if they couldn't Fit into the largest Envelope you used Before and they both Did fit perfectly Inside so use them From now on please ???? Loved the game and as always Lukie came through. At least I got to play Disc #3 through! Loved it! I love this game, The condition is flawless.I had to buy this as a replacement and I always buy complete. The disk trays are unharmed, the condition I would say is "like new"
My favorite FF on the PS1 and my overall favorite after FF6. The last FF with truly beautiful art direction. Great condition, playing this game brings memories as a child. Believe it or not, ffix was my first ff game and all time favorite ff game. i give this game a five star i made it though almost the game and not a single problem. plus the book came with it, and got two me very quick it only took two business days. i would recommend it to anybody who likes games like this. Fantastic game in great condition. Got to me much quicker than expected.